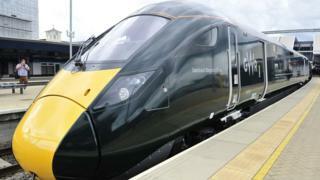 Great Western Railway cancelled 90 Swansea to London Paddington trains in the first six months of 2018. There were more than twice as many cancellations – 7% of scheduled services – as for the whole of 2017, when the figure stood at 39. The company said electrification work impacted its driver training programme. Almost three-quarters (73%) of the weekend and bank holiday services cancelled this year listed “drivers” as being either the main reason or a contributing factor. Brian Corbett, from the train drivers’ union ASLEF, said: “It’s a whole range of problems. Firstly it’s down to the electrification programme and the cancellation particularly of plans between Cardiff and Swansea. “That’s led to a backlog of drivers waiting to be trained on the new bi-modal trains. Mr Corbett added that unusually high levels of infrastructure work had put some drivers off working Sundays, which they are not contractually obliged to work under the current conditions with GWR. The figures, obtained by BBC Wales, showed April 2018 was the worst month for cancellations on the route in the past five years, with 15 weekend trains failing to run. Some of the other most common reasons this year were diagram issues (information about drivers’ shifts and route) – 11.5%, technical failures – 5%, conductor or train manager issues – 3%. A spokesperson for Great Western Railway said it had still managed to operate 93% of all services – including midweek trains – but had made more cancellations than it would have wanted. “Delay to Network Rail’s electrification work has compressed our driver training programme into a shorter period of time, meaning we have had less staff available for passenger services, and we are sorry for the inconvenience this has caused.